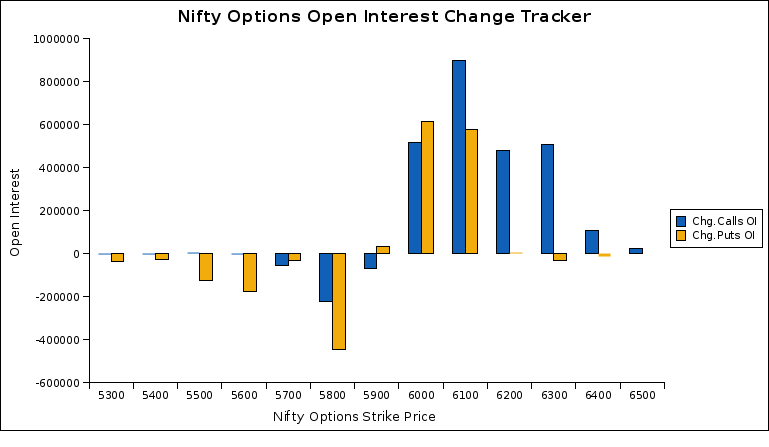 As of now 6000 CE holds the highest Open Interest for the Dec Series with 7,112,200 open contracts. And today witnessed considerable amount of call writing in 6000CE and 6100CE december call prices. As of 3rd December 5800PE holds the highest open interest built up but the thing has changed today. 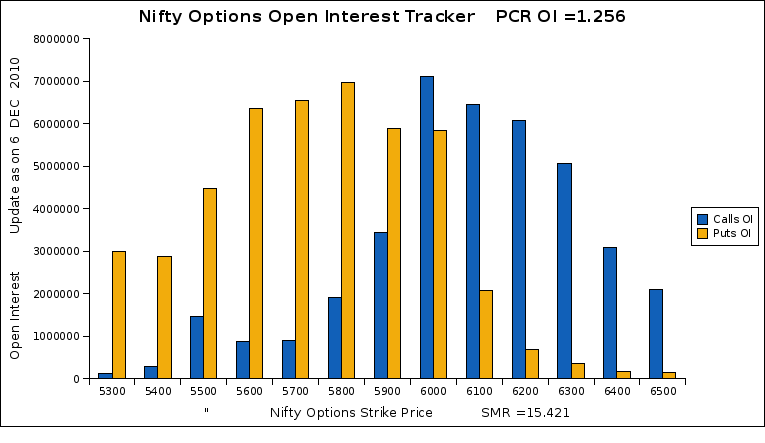 5800 PE shows open interest covering of 447,150 contracts which shows that slowly call writers are taking upper hand.